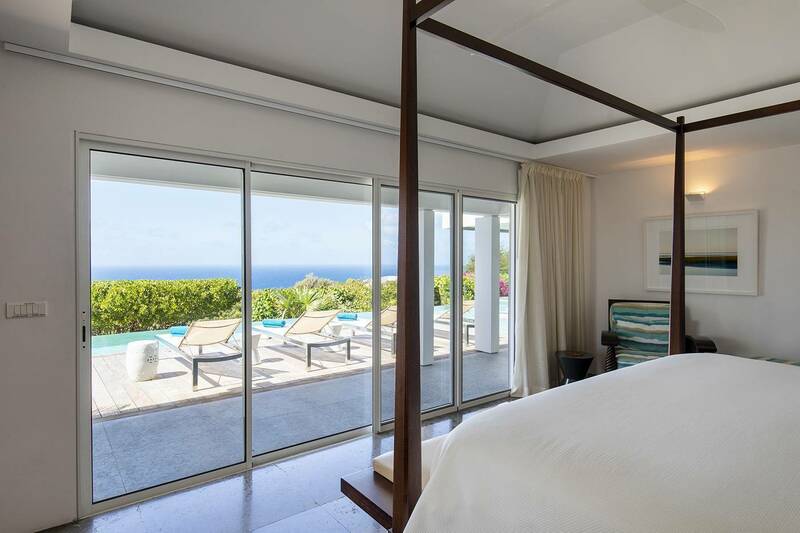 Dream About: Coming home after dinner to gaze at the stars and the twinkling lights of Nevis, St. Kitts, Statia and Saba. 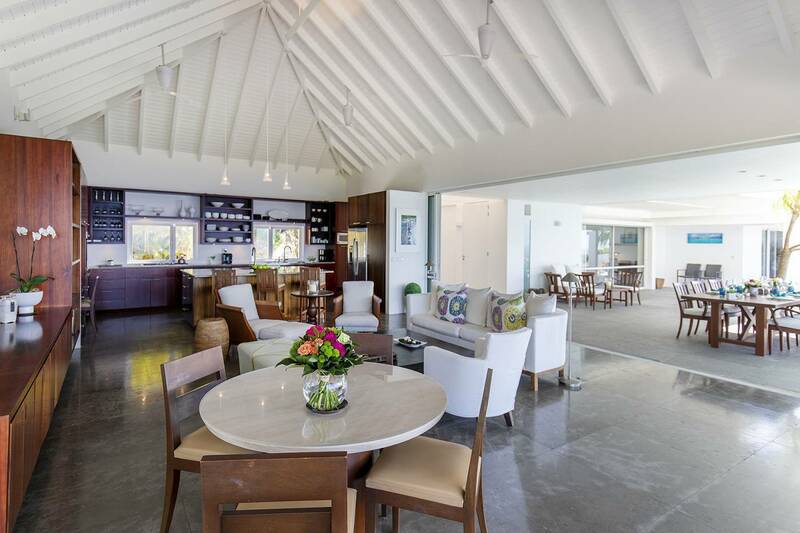 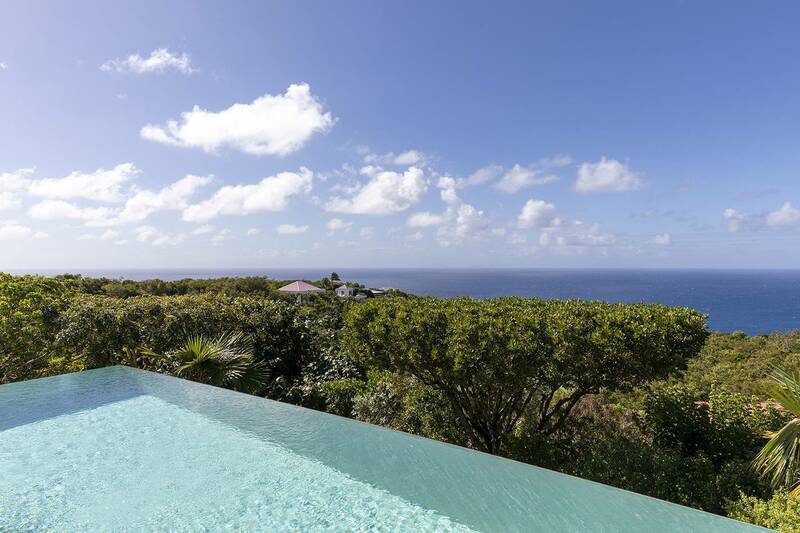 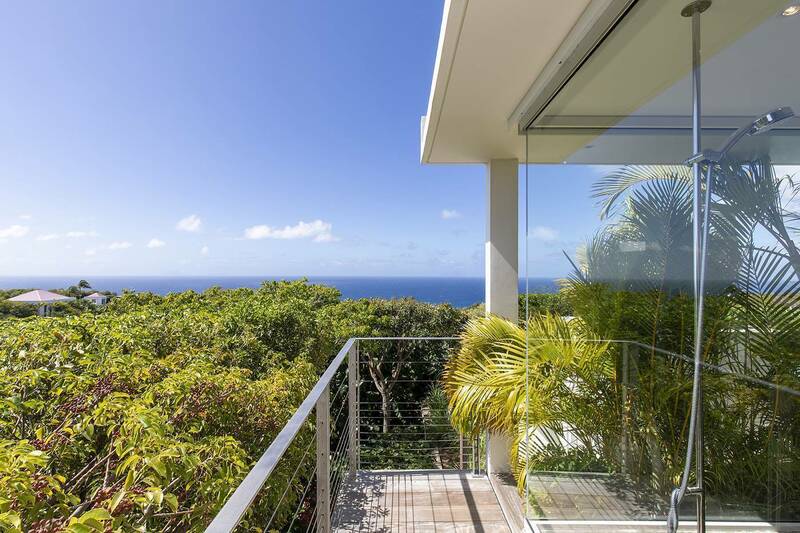 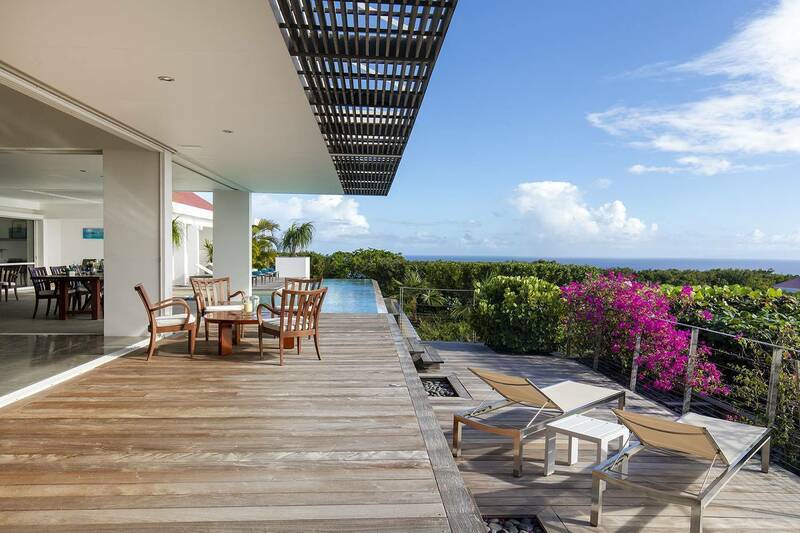 The elegant 3 bedroom Villa Bellissima is privately - and conveniently - located in the lovely hills of Lurin only a few minutes’ drive from Gouverneur Beach and Gustavia. 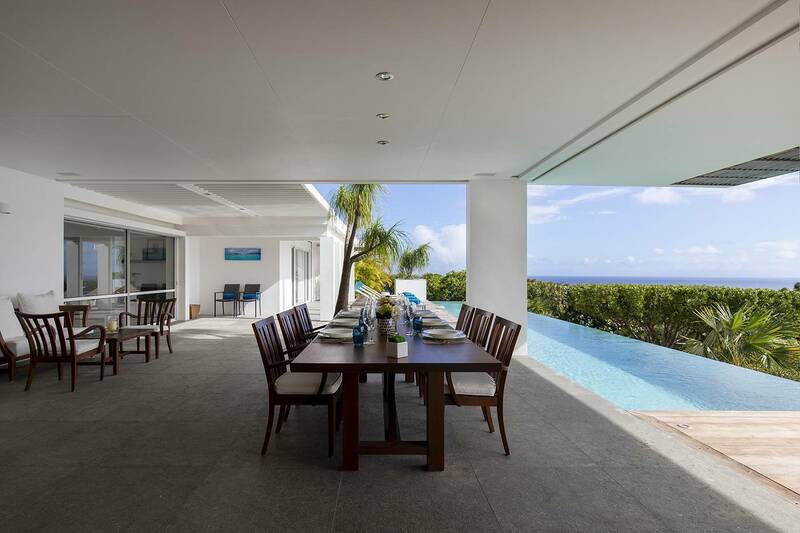 Fitted with designer pieces, some of the furnishings feature the signature minimalist look that renowned French designer Christian Liagre favors with a nod to mid-century design. 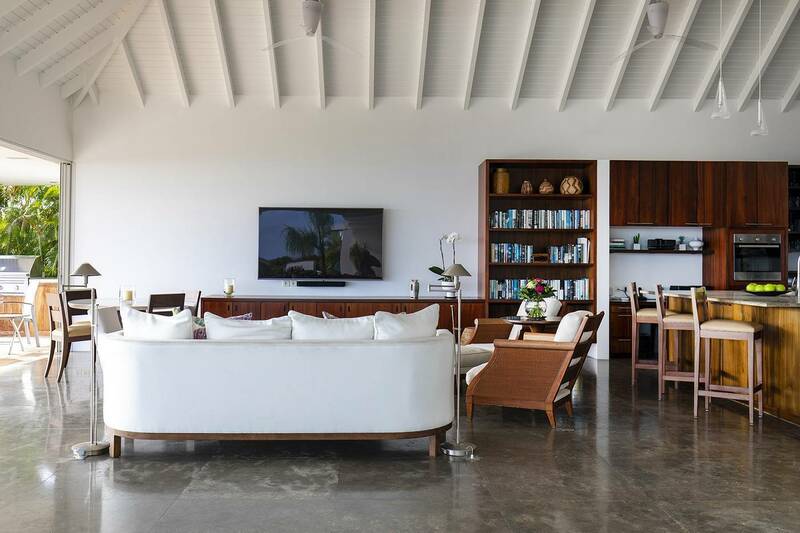 The sofas and chairs are stylish and comfy, perfect for relaxing and watching the TV in-villa, or to enjoy poolside while listening to the sophisticated sound system zoned both indoors and outdoors. 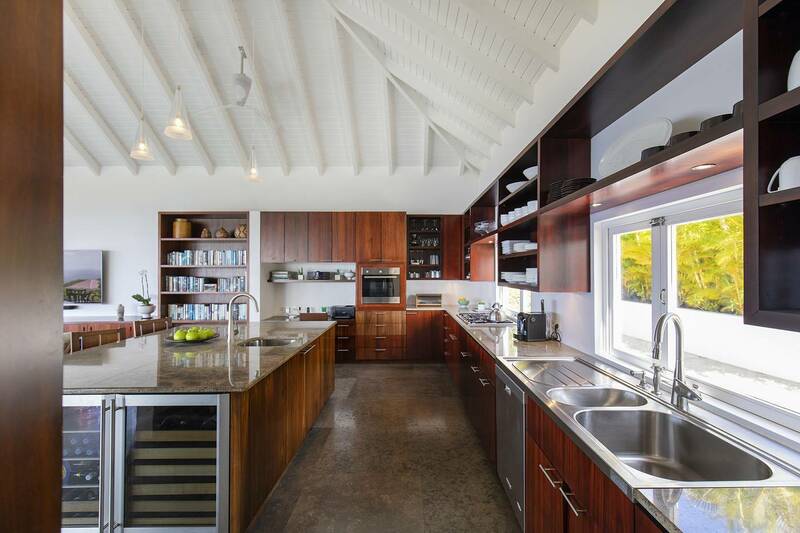 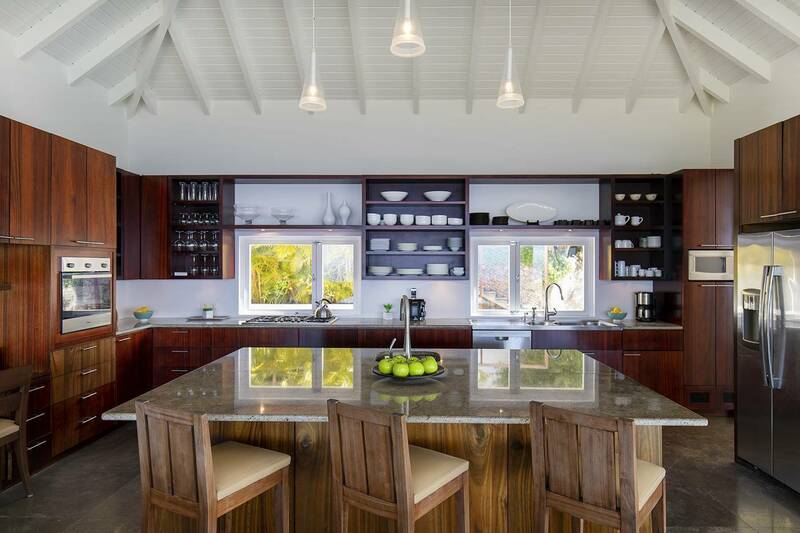 The main pavilion encompasses a sleek wood, marble and stainless gourmet kitchen plus generously sized living and dining areas and a guest bath. 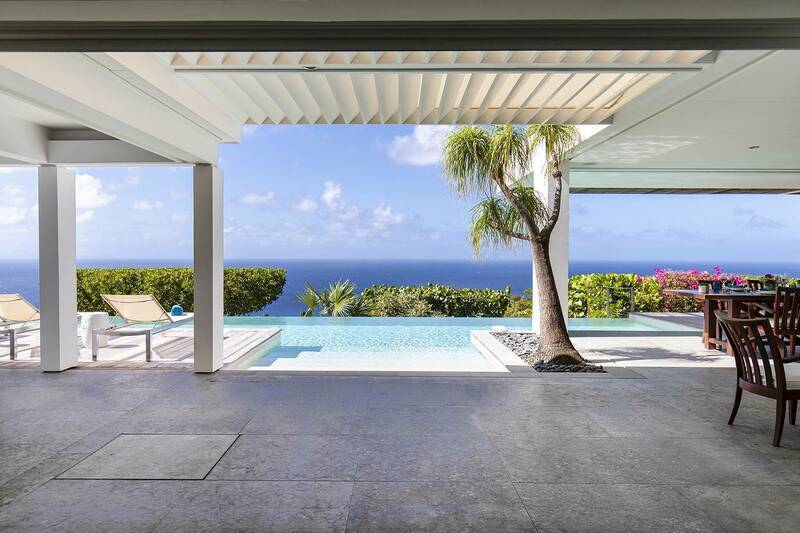 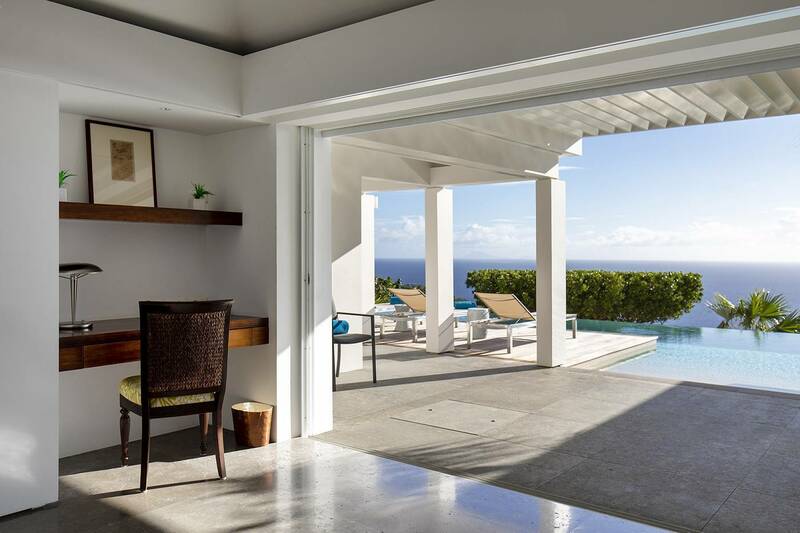 Fully retractable sliders open to a covered terrace that provides additional outdoor living and dining spaces and leverages the pretty view of the sea and the islands of St. Kitts, Nevis, Statia and Saba topped off with spectacular sunsets. 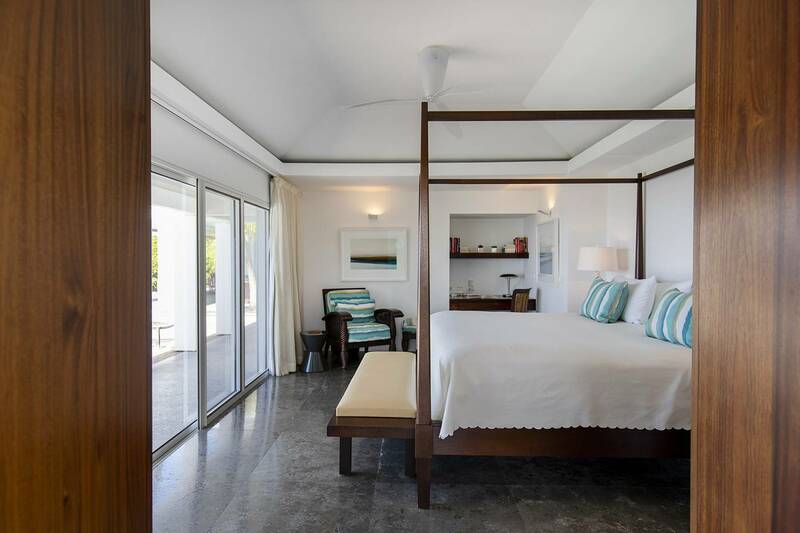 Two (king) bedrooms with polished stone en suite baths are housed in a separate pavilion; 4 poster beds are draped, giving a nice tropically romantic feel. 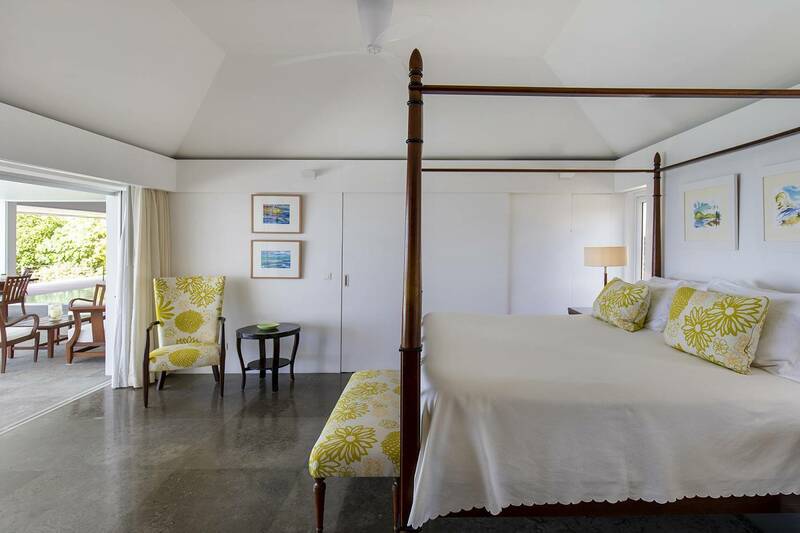 The third bedroom (king/twin) also en suite is in a chic cottage with a private terrace. 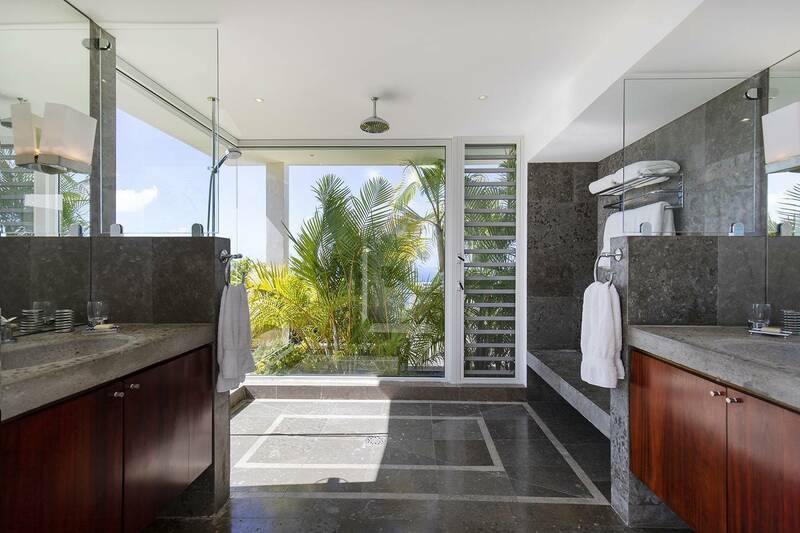 Each bathroom features double-sink vanities and large showers with rain head fixtures and a garden or sea view. 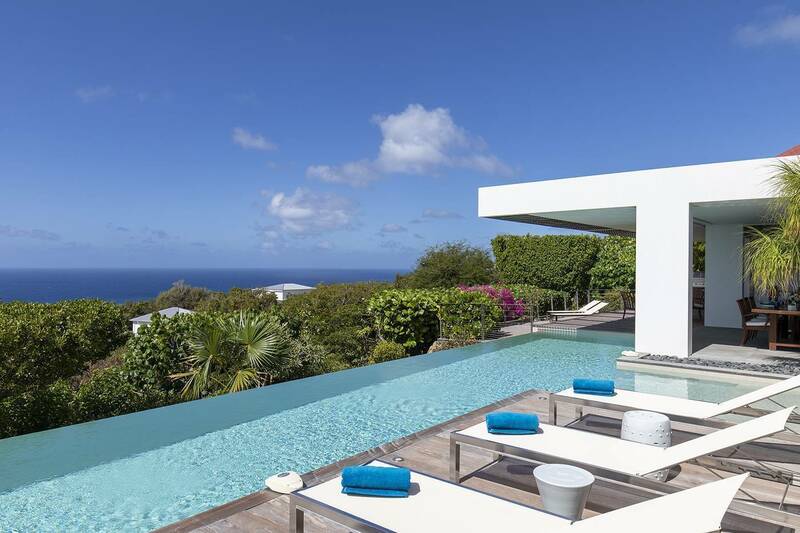 Lush gardens surround the property while the 15-meter infinity pool cascades beautifully over the front and side. 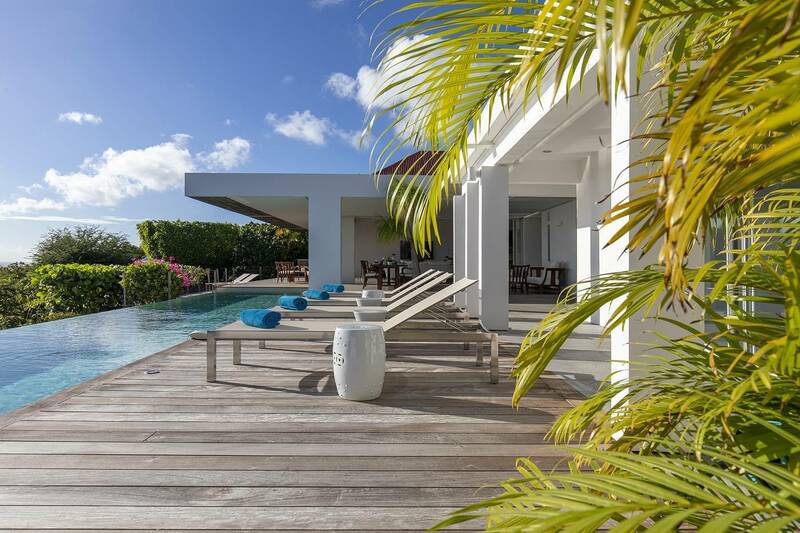 There is plenty of parking for guests for those who wish to entertain. 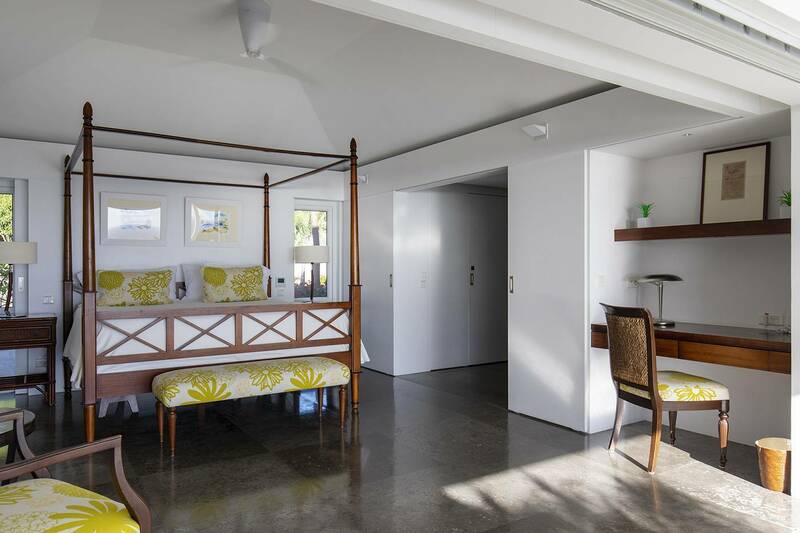 The main building and two of the bedrooms are on one level and handicap-friendly. 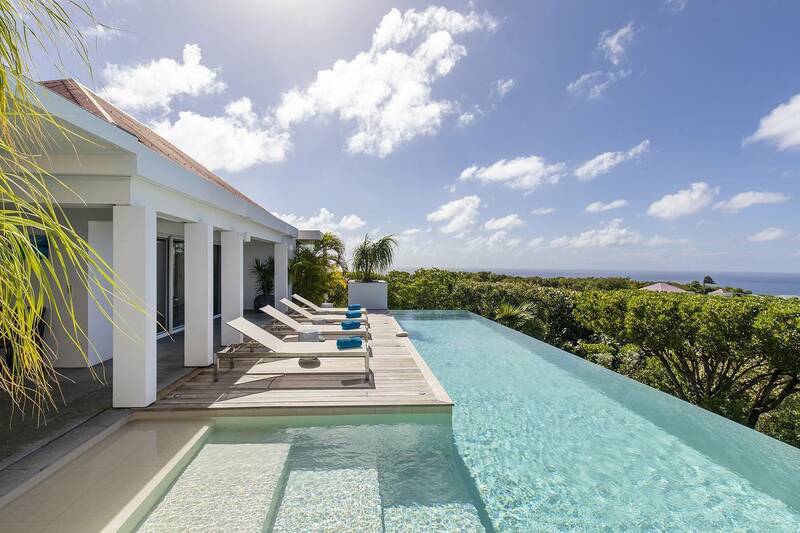 The beautiful lap pool and sitting on its wide steps while reading a book. 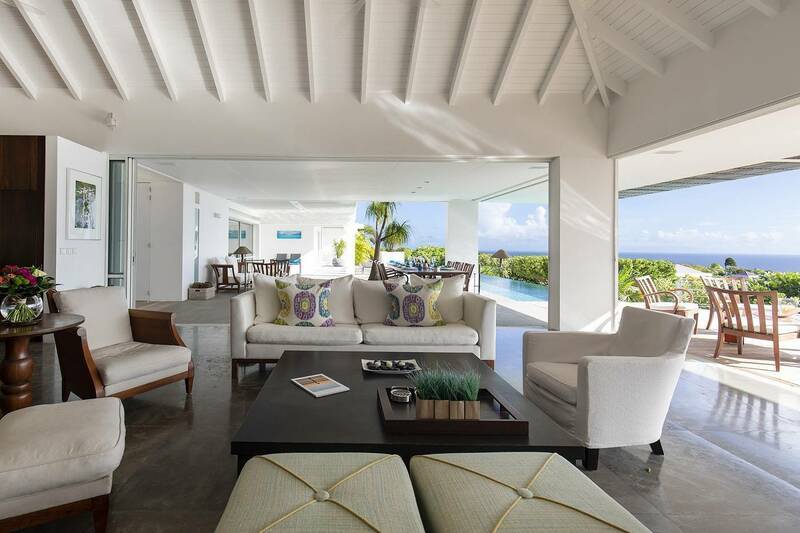 The living room can be opened on two sides to give an outdoor feel; 3 en suite bedrooms; beautiful pool.